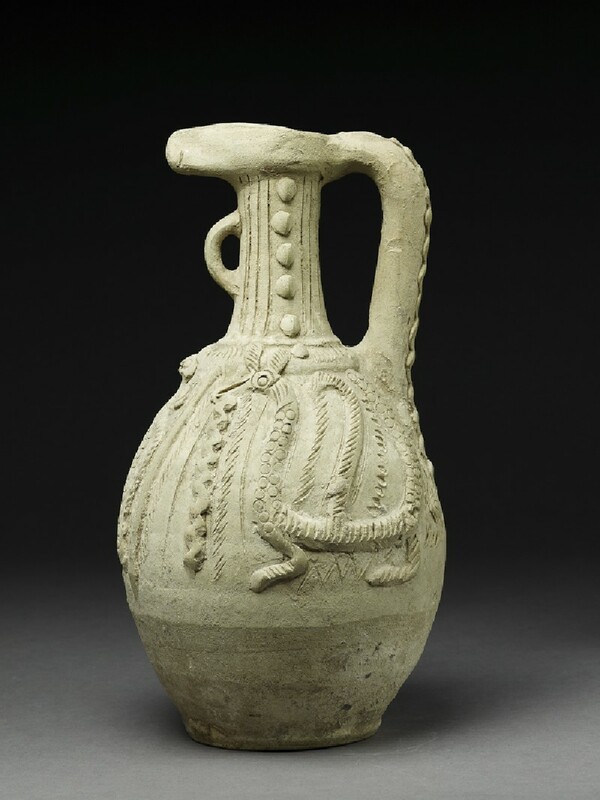 Unglazed wares account for the majority of the ceramics produced in the Islamic world, although they remain largely understudied. The Ashmolean Museum owns several unglazed ceramics, and these help to provide an overview of the range of techniques used to produce and decorate ceramics of this type. 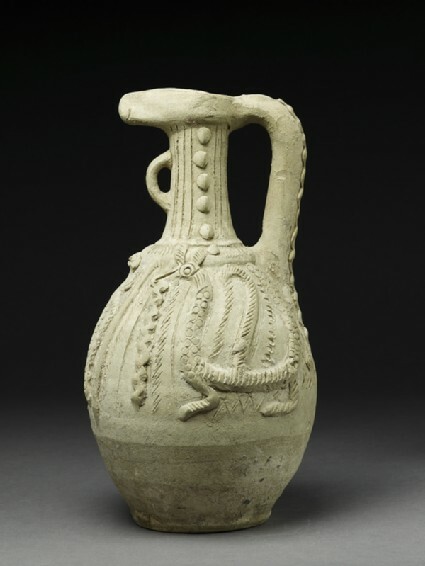 This jug has a thrown body and a hand-shaped handle and rim, and is decorated with incised, stamped, and applied motifs including stylized winged creatures.